Tom and Dr Harker are back and this time their adventure takes them outside London. They visit a friend in Norfolk, Mr. Gibbs, who has recently unearthed fabulous Anglo-Saxon treasures from an archaeological excavation. 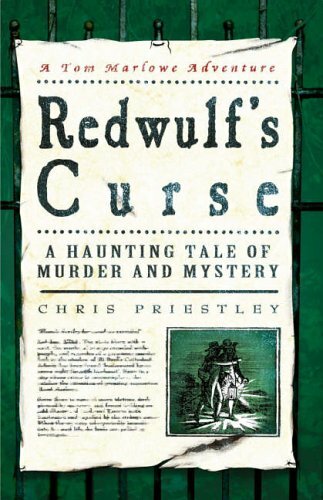 They are believed to have belonged to the East Anglian king, Redwulf. Local legend tells of a ghostly guardian of the king's tomb and a curse against anyone who threatens it. When not one but two murders occur in the household, it is hard to dismiss the legend. As everyone feels threatened and the atmosphere of hostility increases, Tom and Harker investigate. Discovering in fact that Gibbs' wife is behind the attacks seems to explain what's been happening. But then Tom sees an unidentifiable figure in the mist... This is an exciting and atmospheric story set in the eighteenth-century and delving into our Anglo-Saxon past. This final instalment in the Tom Marlowe Adventure trilogy is every bit as engaging as the previous instalments and has just a touch of Sherlock Holmes’ style with mysterious happenings, a devilish dog and a ghostly figure on the moor. A rip-roaring read from start to finish.